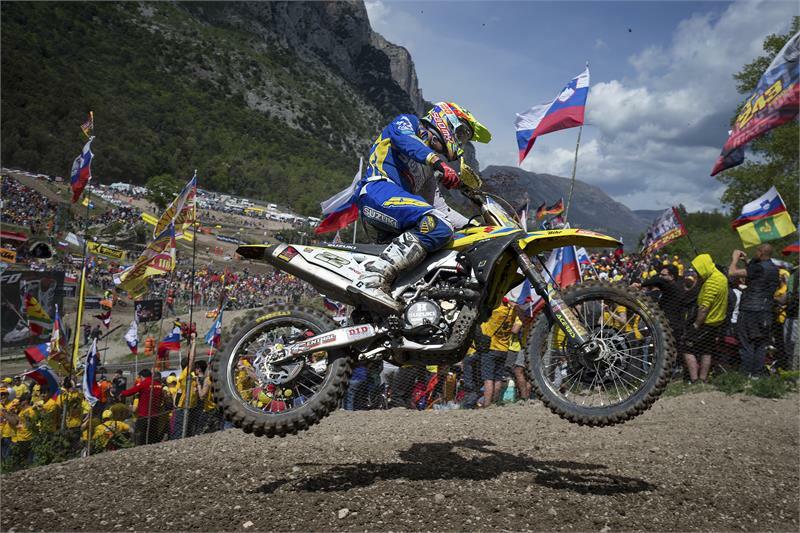 Team Suzuki Press Office – April 20. After the first European round of the 2017 Motocross Championships last weekend in Italy, the whole Suzuki World MXGP team packed-up and headed north for the next round located in Valkenswaard, Netherlands, less than 25 kilometres from the team’s HQ in Lommel, Belgium. To a man, each rider is hoping to bounce back from their results at the MXGP of Trentino and show what they are really capable of at the deep sand facility where passing should be a lot easier to come by than it was in Italy. The third member of the MX2 team is Bas Vaessen and while he won’t be racing this weekend, he has been back on the bike the last couple of days as he takes the next step in his recovery from the broken collarbone sustained at the MXGP of Argentina. His next GP is still scheduled to be in Latvia on May 7th but he hopes to be racing before that at the German ADAC Championship in Jauer as a warm up.